Gempar Responsive Blogger Template is the awesome blogger template built with modern style and simplicity. This template has new post description section and also two column categorized post section. 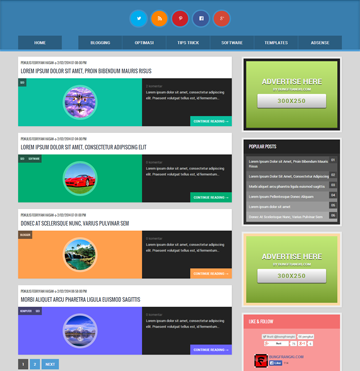 This is a 2 column theme with customized social widgets and popular post section.